This locally owned and independently run Brisbane child-care centre initially came to me for a professional yet playful extension of their brand identity. 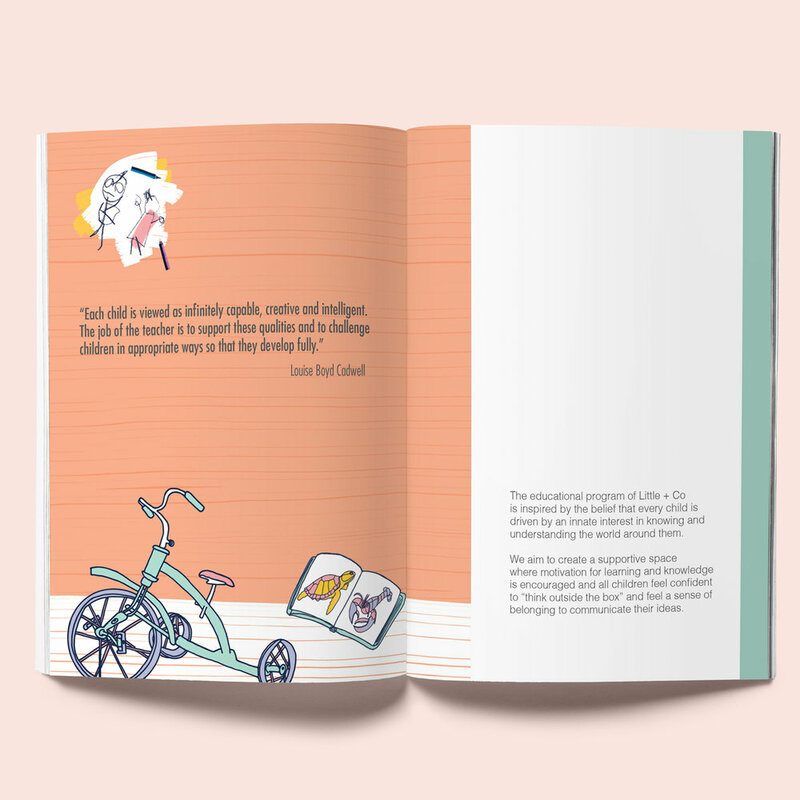 I have since designed a range of marketing materials such as their Enrolment Pack and Communication Book, incorporating these joyful illustrative elements which have now become synonymous with the centre’s learning ethos. I am passionate about making a difference in the community, which is why I am proud to partner with Suited to Success, a not-for-profit community organisation that helps people overcome barriers to employment. I created a range of fresh collateral to assist in their work including their Annual Report, and marketing collateral (including social media content) to promote their programs. Australian online retailer of health and complimentary medicines, Gr8 Health, engaged me to create a suite of bespoke illustrations to represent their diverse product categories. Initially launched on the Gr8 Health website, the illustrations now form a key part of their national advertising campaign including TVC and print catalogue. I was engaged to develop a new brand identity for Carter Bar Securities, a B2B financial consultancy for the superannuation industry. Carter Bar marks the geographical position in England located at 418 metres above ground level which offers an unobstructed view of Scotland. It’s a clear, full-perspective view - just like the services they offer. Marrying their brand story with key design elements, I created a secondary pattern by overlaying the roman numerals CXVIII  and then simplifying these elements to create a crisp pattern to accompany a modern and bold logo. Seeking a fun and memorable gift for their clients for their newly designed homes, I was engaged by KIN Architects to design a tea towel that reflected the quintessential colours of Brisbane. Bougainvillea Pink, Torbreck Blue, Moreton Bay Bug Orange and KIN Beige, amongst others. Incorporating their existing brand identity and logo, I utilised these dots in rows of two to create the palette and an original branded gift to delight their clients. Expressive Arts and Therapies is an art therapy and mental health service for clients in Warwick and surrounding regions. I designed a new logo that would appeal to a diverse client base. In learning that the practice of collage forms a central part of their art therapy, I designed a colour base for the logo with soothing blue and green colour-ways in subtle layers. 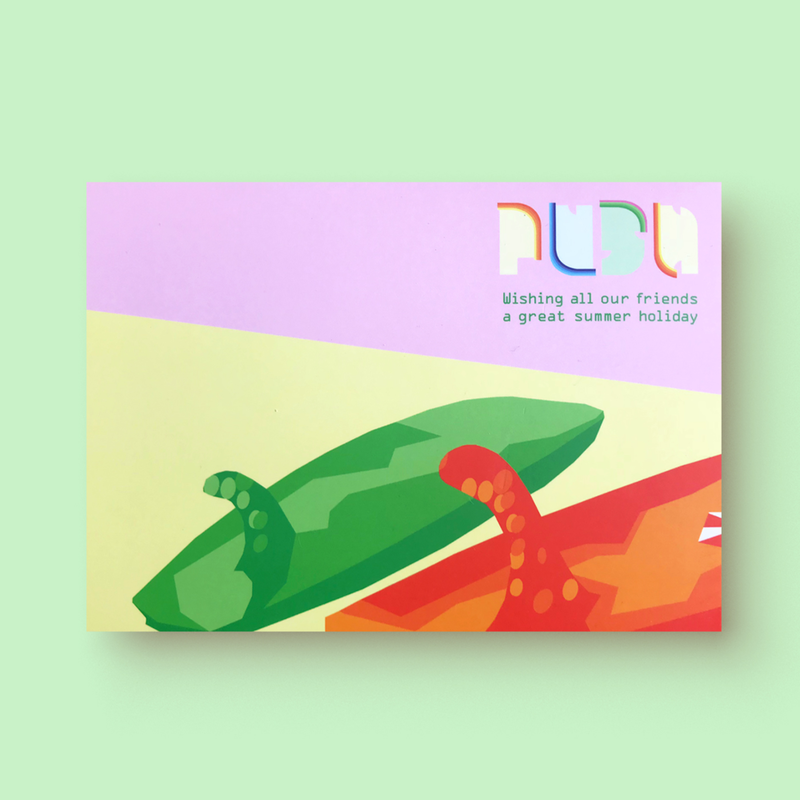 Continuing the tradition of undertaking the graphic design of Push Architect’s annual Christmas postcard with Director Paul Curran, the 2018 Christmas card is a graphic treatment of a photograph of the Waialua Surf Shop in historic Sugar Mill, Oahu Island, Hawaii. A much-loved surf destination of the Push crew, and a playful extension of their company brand. I was commissioned to create a bespoke illustration and accompanying artwork for the Brisstyle 2018 Christmas Markets. 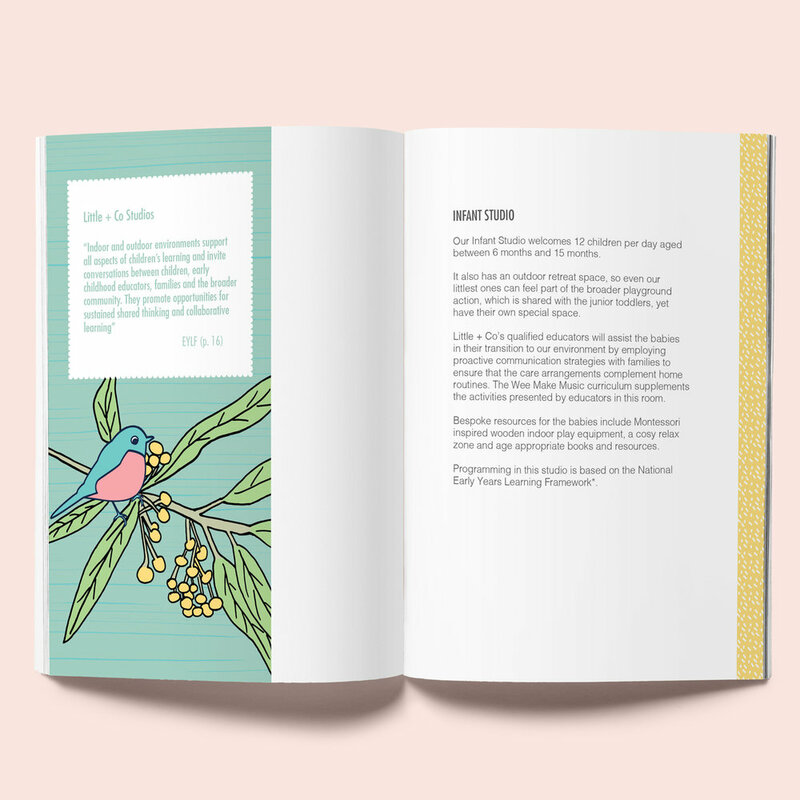 The illustration and artwork was distributed across their social media channels, on postcards and the macrame-style Christmas tree featured as a life-size cutout at the Handmade Christmas markets held at the State Library of Queensland.